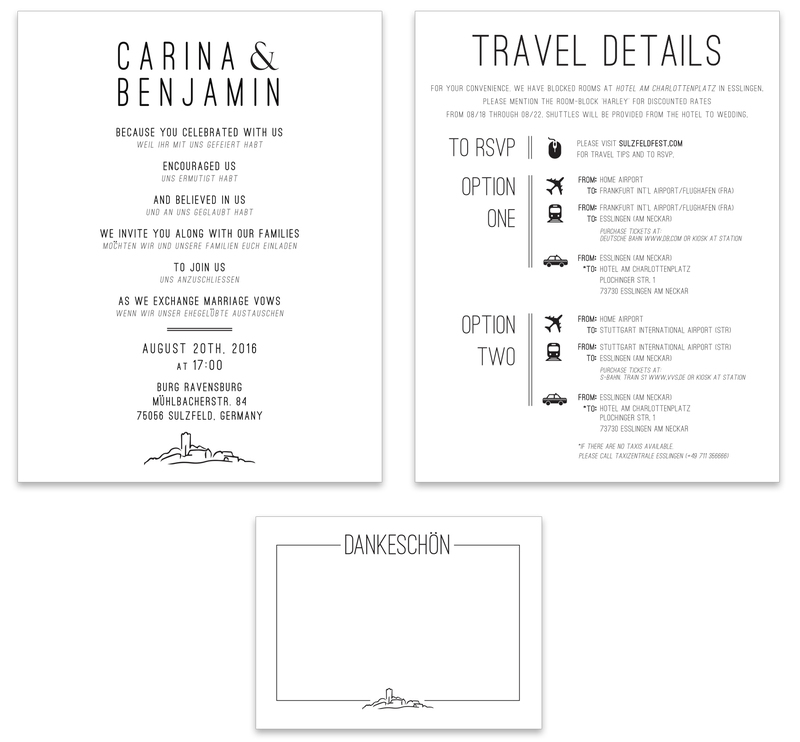 Carina and Ben were were seeking a custom invitation package and website in preparation for their whimsical wedding in a stone castle on a hilltop overlooking fields of wildflowers and vineyards in the German countryside. Create invitations, travel destination cards and thank you cards with a modern avant garde design with rustic undertones, with a website to match. Carina and Ben wanted a modern, avant garde design with a rustic undertone. The challenge was to combine all three in harmony. The font we chose which was both structured and artisanal. The copy-centric design was carefully executed with plenty of white space, and the color scheme was kept a simple black and white. The invites were sent to guests in beige envelopes with a pale flower printed inside. The stationery itself was wrapped in tweed with small sprouts of lavender. 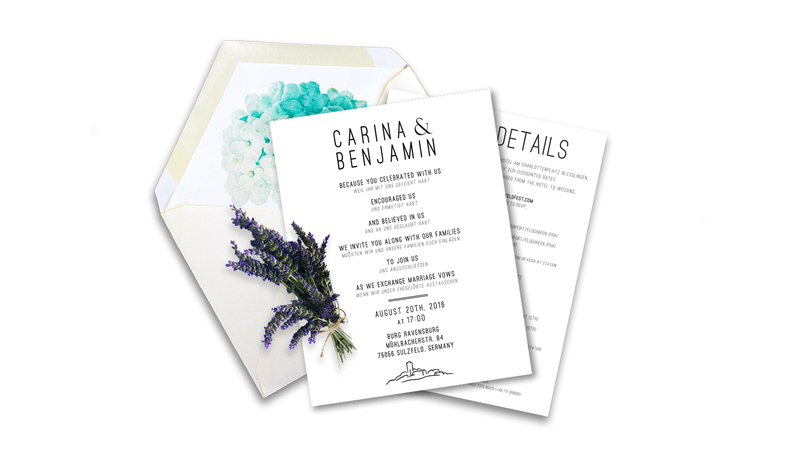 The style of the invitations carried on throughout the website, where photos and links could be found on each page for guests to learn where to stay, what to eat, local attractions to see and details about the ceremony and reception.